Rain and moderate winds prevailed yesterday during the first races of the 80th Warnemünde Week. 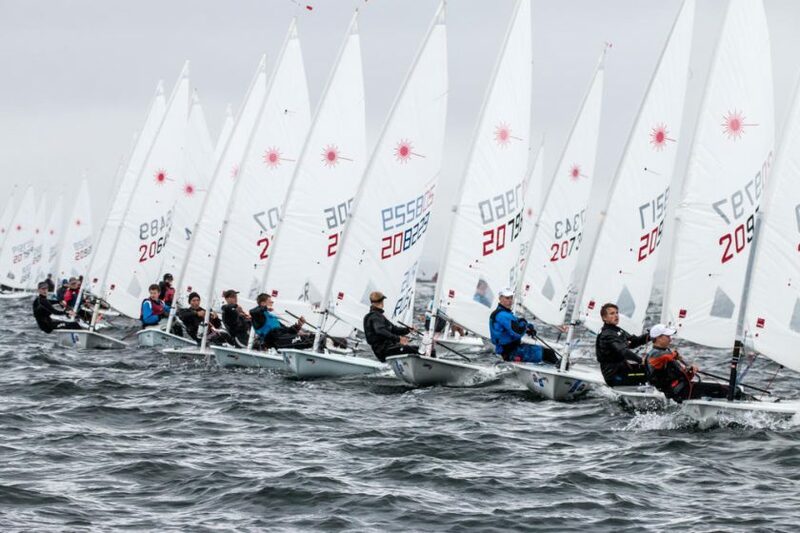 The Laser Europacup with over 200 boats is one of the highlights of this year’s Week. The Laser’s Standard and 4.7 sailed two races each, the Radials finished only one race because of numerous general recalls, and finally, only half of the fleet was ranked. Jakub Rodcziewicz POL and Theodor Bauer GER jointly lead in the Lasers Standard 3 points ahead of Jianan Wu CHN on the 3rd place. 47 participants from 13 nations are present. The single race of the Lasers Radial (80 participants/17 nations) was won by Federico Tocchi ITA ahead of Moritz Peitzner GER and Lennert Steelandt BEL. In the Lasers 4.7, the leader is Przemyslaw Machowski POL ahead of Filip Miloszewski POL. Josua Richner SUI and Jonas Domeisen SUI follow on rank 3 at equal points (78 participants/14 nations).